Leading UK toy retailer The Entertainer has teamed up with Red Ant to bring a little extra magic to Christmas shopping on its website. 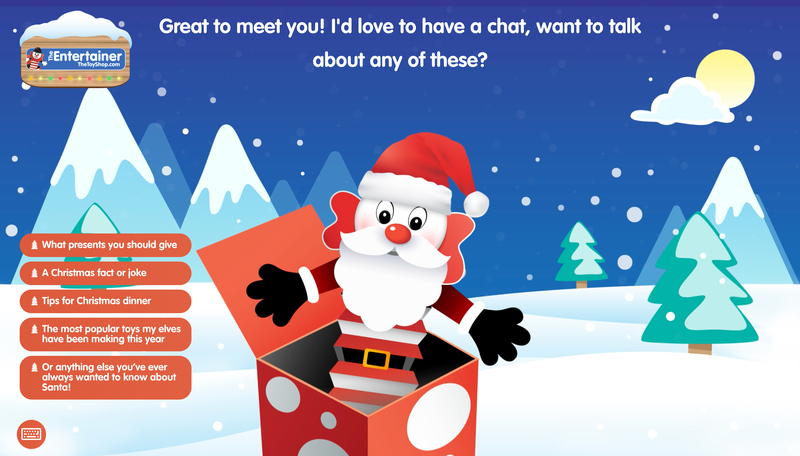 Customers will be able to ask much-loved mascot Jack, dressed as Santa for the occasion, about all the toys and games they can buy this festive season as well as facts, jokes and information about Christmas, via both voice and text input. Update: Over the Christmas period, Jack increased average order value by 9% and conversion by 24%, as well as increasing the average session on the website from 3 minutes to 10 minutes.